Decent cooler with a fairly quiet fan and two heatpipes. Picked this up for $2 after rebate so I am not complaining. 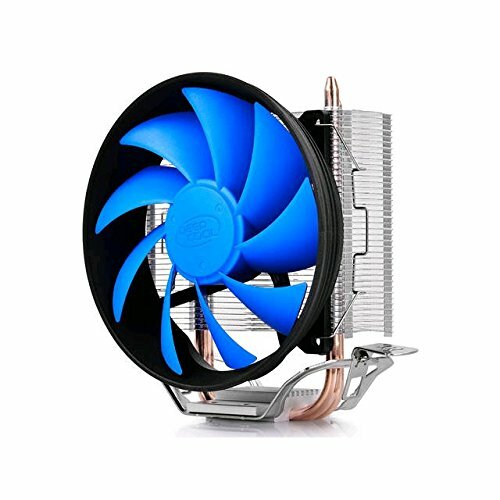 CPU cooler isn't actually a 120mm, buy it looks like it. It is actually a 98mm heatsink with a big fan. Despite this, it still cools like a cooler should and for $10 I couldn't pass up on it.